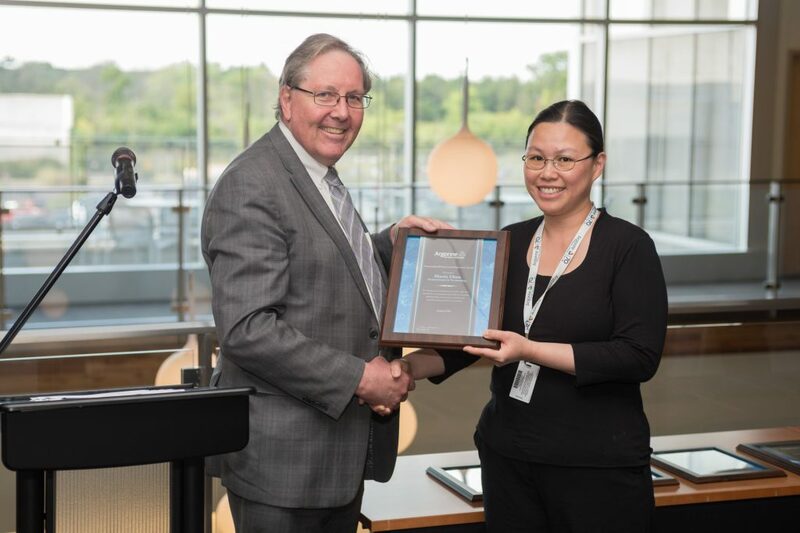 Maria Chan received the 2016 Outstanding Postdoctoral Supervisor Award. This award recognizes exceptional work in the supervision of postdoctoral employees and in developing the next generation of scientists and engineers. Chan is an Assistant Scientist with the Nanoscience and Technology Division and a Fellow with the Computation Institute at The University of Chicago, where she is working towards the development of efficient atomistic and first principles computation methodologies, and application of such to renewable energy materials and nanoscale phenomena. The postdoctoral research period is a crucial time for establishing one’s research career, so positive guidance in professional and intellectual development is very important. Yes. My postdoctoral supervisor Jeffrey Greeley (now at Purdue University) was tremendously inspiring and helpful when I was a postdoc. Not only did he intellectually challenge me and teach me a lot of technical knowledge in several research areas, he also showed me how to collaborate effectively which is crucial for today’s scientific research environment. In addition, dozens of scientists and professors gave me their guidance and invaluable advice when I was a postdoc, including my Ph.D. advisor Gerbrand Ceder (now at University of California Berkeley), Mike Thackeray (CSE), Stephen Gray (NST), Chris Wolverton (Northwestern), Millie Dresselhaus (MIT – now deceased), Giulia Galli (IME), and many others. No two postdocs are alike, so the most important guidance will depend on the individual (on this point, my very successful colleague Subramanian Sankaranarayanan also agrees). For some postdocs, it will be learning to communicate effectively. For others, it would be determining what type of work most excites them. For yet others, it would be to practice taking more risks with their ideas and trying different approaches. The list is endless. 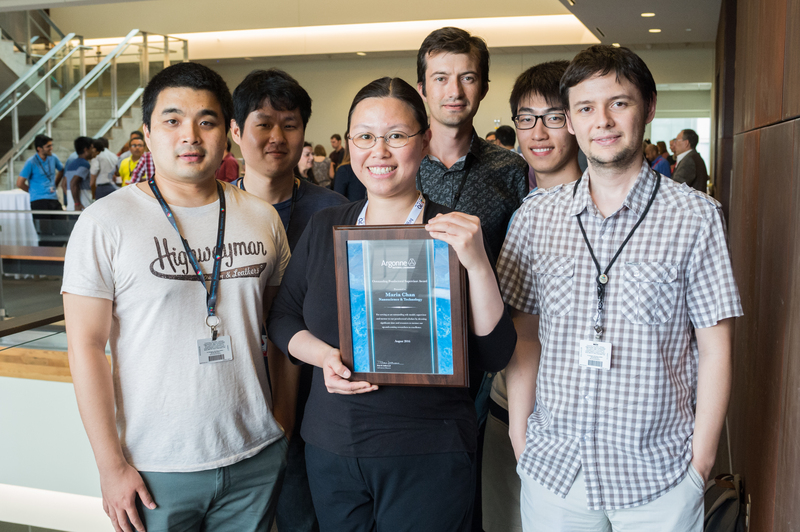 Maria Chan poses with her postdocs and mentees at the 2016 Mentor Awards Reception. As in performing research itself, I think the most important aspects to effective supervising are to be observant and open-minded – to determine the postdoc’s needs, to listen to different opinions, and to act based on these continuous inputs. There are a lot of different ways to be effective as a supervisor also. I think good communication skills and again, open-mindedness helps. This entry was posted in Argonne's Mentoring Exchange, For Mentees, For Mentors, For Postdocs, Uncategorized. Bookmark the permalink.